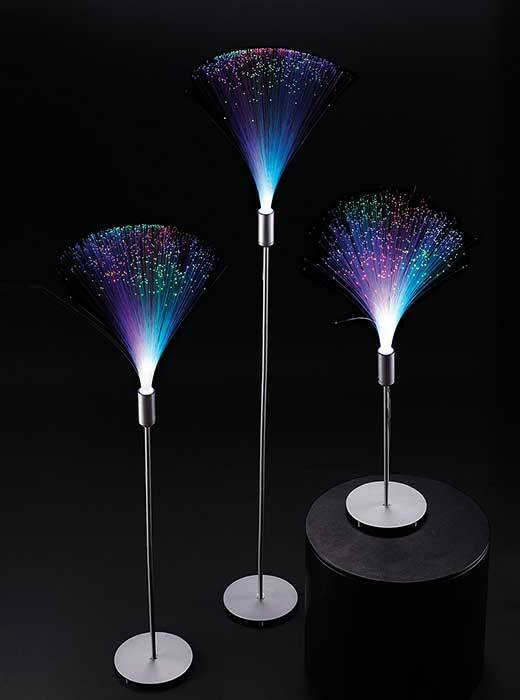 This wondrously colorful lamp is truly mesmerizing. 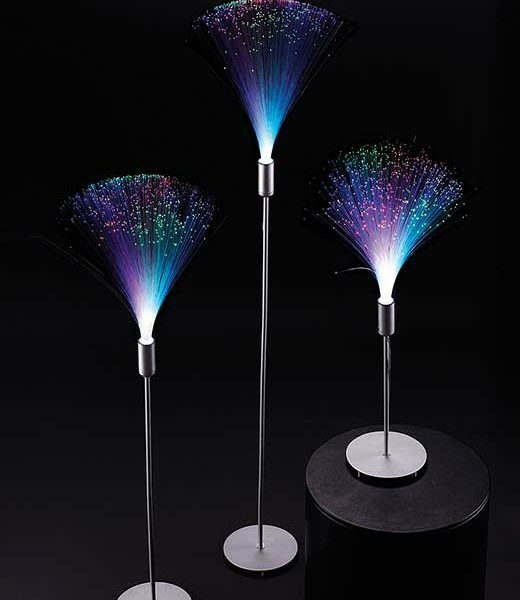 Hundreds of thin optic fibers fan out gracefully while multicolored phasing LEDs slowly illuminate each fiber for a hypnotic effect. Adjustable to three height levels by adding or removing sections of the silvery brushed metal pole: 25″, 35″ or 45″. UL listed adaptor.